To see an inside view of this click on the link below. 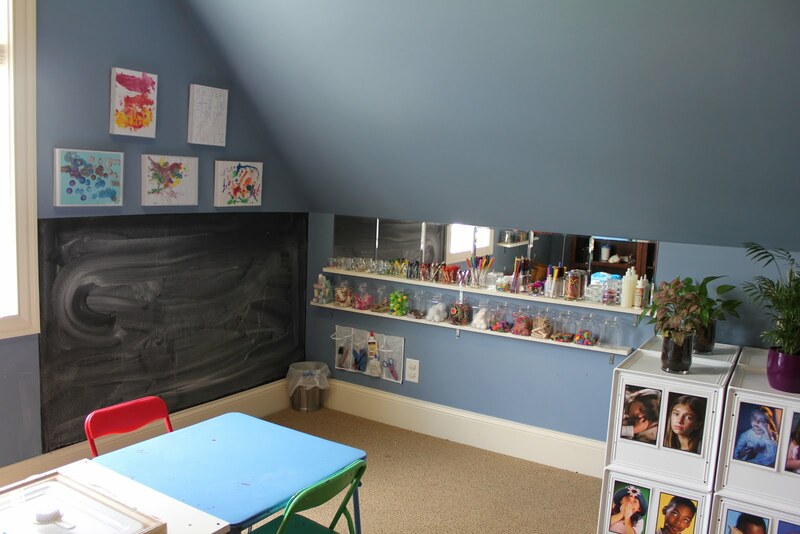 The peg board previously held her books so it was an easy conversion. 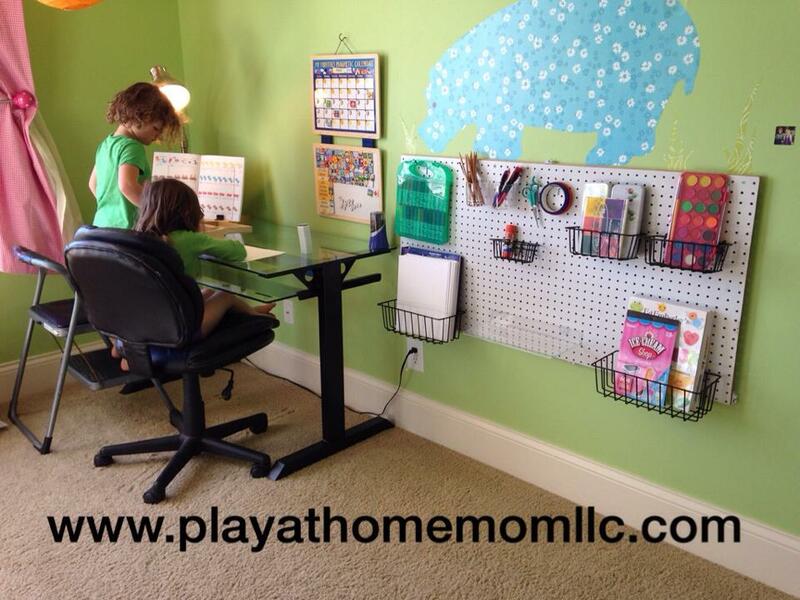 You can purchase peg board for about $12.00 at your local hardware store. My daughter wanted to keep hers white but you can paint it whatever color you want. Baskets can also be found at the hardware store. If you really want to get creative you can check out http://www.azardisplays.com for endless options. 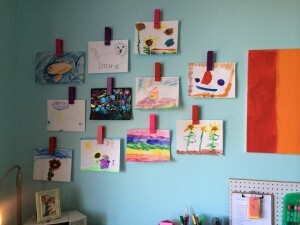 Later on we added some clothespins (99 cent bin at Michaels) to hold all her artwork. 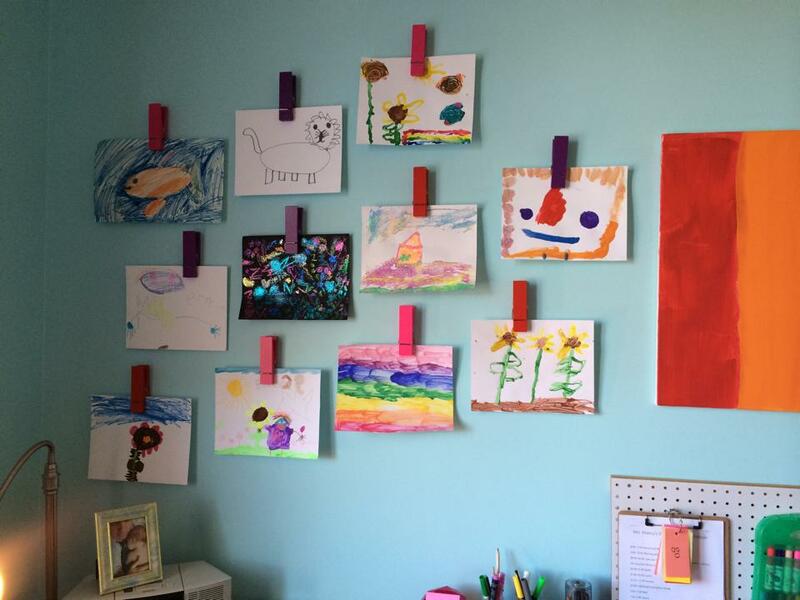 These are secured to the wall with command strips. 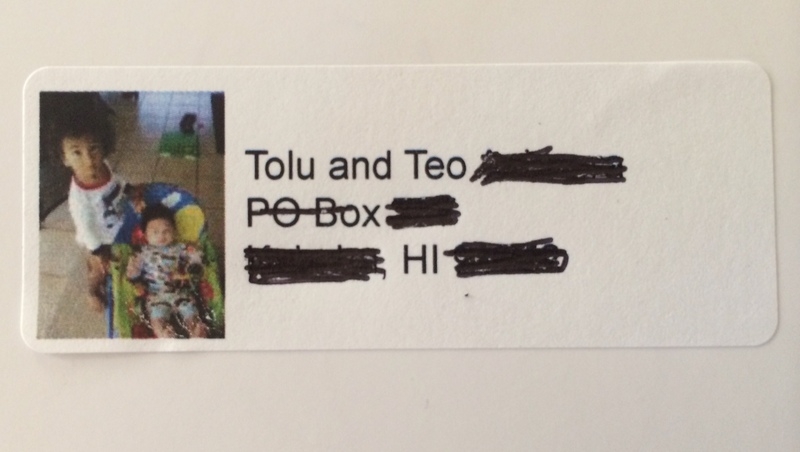 Another favorite of my oldest is to send/receive mail. She was constantly asking me for the addresses of friends and family. I decided to give her the tools she needs to mail out letters on her own. 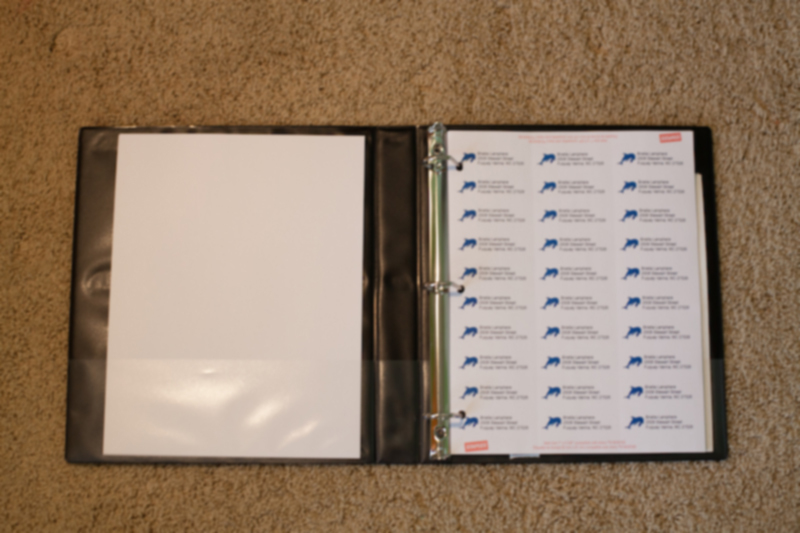 I purchased a three ring binder and filled it with envelopes, address labels, and stamps. Yes, we had to give a monthly stamp allowance. We also talked about the proper way to address an envelope. In the world of email I hope my girls grow up to value a handwritten note! 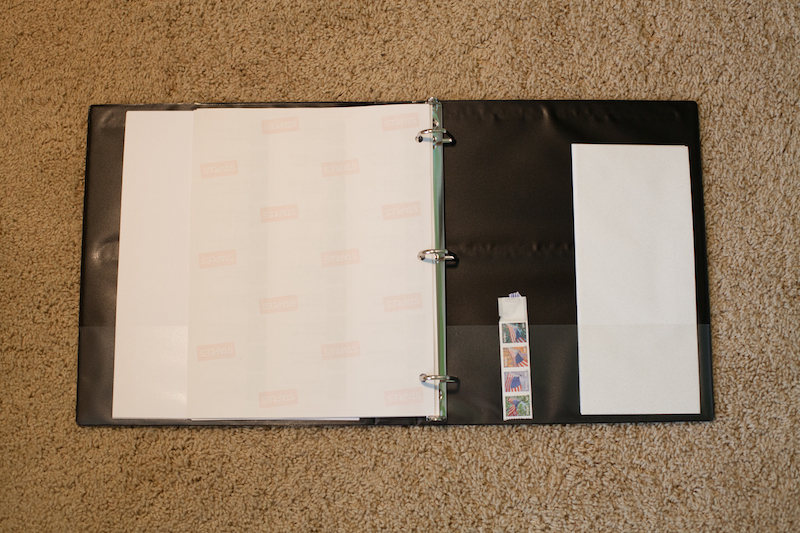 I made picture label sheets for 10 of her friends/family and also return addresses for her. The visual helps her find who she wants to mail a letter to… and she can easily peel it off and place the label on the envelope. 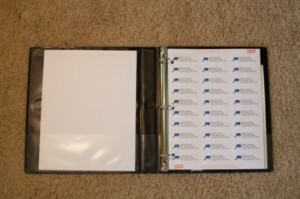 The label sheet can be hole punched and placed in the binder. There were also a handful of words my daughter was constantly asking me to spell. 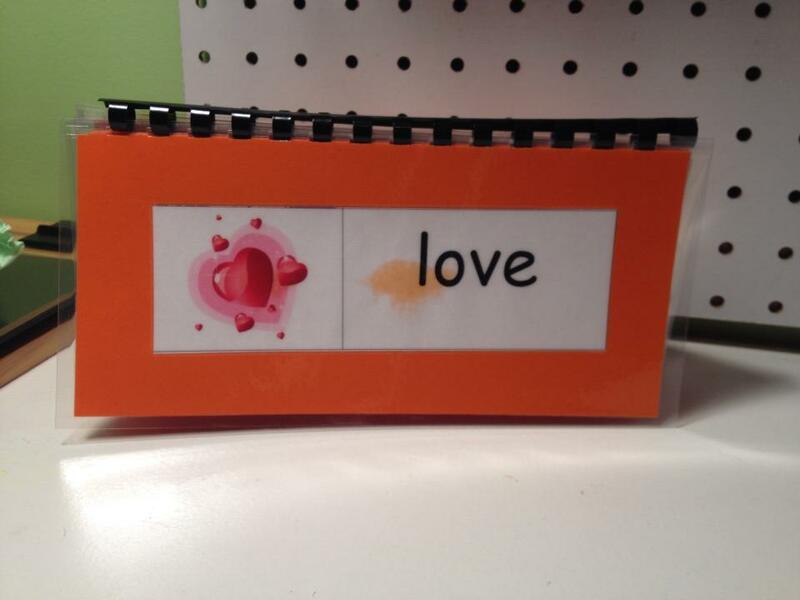 AK made this little personal dictionary for her with visuals. I love all of your posts and the ideas that you have given me! I am wanting to check out the link you posted, but it isn’t working (www.azardisplays.com). Is there an alternative?